The saga of the one-of-a-kind Wu-Tang Clan album continues, perhaps with help from the former FBI director. 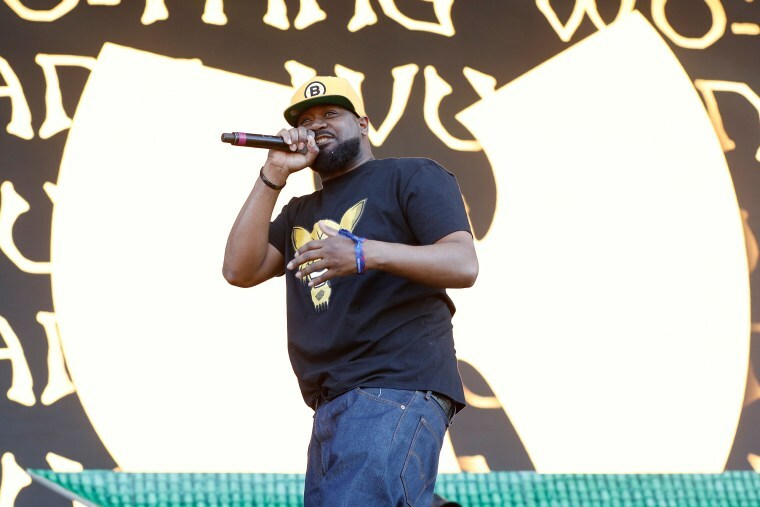 The Wu-Tang Clan has a new homey — and his name is James Comey. The ousted FBI director met the straight outta Staten Island rappers backstage at CBS' “The Late Show With Stephen Colbert” on Tuesday, where they joked about recovering some long-lost treasure — their “Once Upon a Time in Shaolin” album. “Workin on getting that album back from the feds ... Wu Tang forever,” Ghostface Killah (aka Dennis Coles) posted on Instagram, along with a photo of himself with the former G-man and fellow rapper Method Man (aka Clifford Smith). Trump fired Comey last May. In 2015, the one-of-a-kind Wu-Tang Clan record fell into the clutches of Martin Shkreli (aka Pharma Bro), who was sentenced to seven years in prison in March for defrauding investors. Shkreli, who became infamous after he tried to jack up the price of a lifesaving AIDS drug, bought at an auction for $2 million. A judge later ordered him to turn it over to federal authorities. But Shkreli is appealing his conviction, and a Department of Justice spokeswoman said Wednesday that it doesn't have the record. Shkreli’s high-powered Manhattan lawyer, Benjamin Brafman, did not immediately respond to a question from NBC about the platter's whereabouts.